IN the Materials palette, I would like to be able to choose Transparent for Foreground or Background. I suspect this can be done, but not simply. I did a quick-and-dirty icon in PSP 2018. It seemed a little more involved than my memory of PSP7; plus, it crashed during complicated arrangements. In searching Help, a more-forgiving search engine, like Google uses. For example, rather than returning a null result for 'objrct,' the engine could search for 'object' and say so. To not have it darken my display when it launches, and leaves display darkened as it exits. When using vector objects, have the ability to default the Node Type when adding new nodes. It seems to always default to symmetric, but more often I find the need to add a Cusp type. I don't know what I'm doing wrong, but People Tagging in the Organizer has never worked for me. Neither in 2019 nor older versions. I would use this feature if I could get it to work. When creating masks, be able to create a mask based on Layer. Similar to create based on an image, but be able to select an existing layer as the image reference. In the "Add Noise" feature, add the ability to control how large the grain is. I would like to use the Art Media brushes, but the response time is just too slow to be practical. By comparison, everything else I do in PSP seems reasonably responsive. This last one is a bit out there, and probably out of scope of PSP, but I'll throw it out there anyway. With creating scripts, it would be nice to have the ability to "keyframe" or have a value of an effect change over the course of the batch script running. For example, if I have a Colorize effect scripted, I would like the ability to change the hue (in a linear fashion) as each image is processed. I see the use case for this when using PSP to add effects to frames of a video. I'm not sure if I'm saying the same thing, but I think having the ability to import an SVG as a vector object would be great! More on polarization. In this article (https://learn.zoner.com/add-pizazz-to-y ... andscapes/), we have this image: https://learn.zoner.com/wp-content/uplo ... /color.png. Seems to me Corel should be able to replicate that function. Corel has been trying to improve the Crop tool. So let me make this simple, create a selection tool that works like the crop tool, except that the new tool creates a selection rectangle instead of an image alteration as the Crop tool does. All I want is to be able to choose the location for brushes and have them show up in the program. This has been an issue the last couple of versions. I point the file location to where the brushes are but there are only a very few that I can see in the program. All have the pspbrush and pspscript files. One of my many pet peeves also. .ai files are the same. They load already merged with a background. These seem like they should be easy enough to do. I use the text tool a lot - the most painful thing about this is selecting a font. Can we please have some method of filtering the font drop list - I usually know the type of font I want (serif, sans-serif, script, etc) - but the list is just an alphabetic list of all the fonts on my system. It'd be so much easier if I could reduce the list to just the type I'm looking for. AdrianW wrote: I use the text tool a lot - the most painful thing about this is selecting a font. Agree. There are some fonts I never use and as one adds more fonts / or other programs bring in their fonts the list becomes very large. This would enable a short list of fonts that are most used. Of course you could also go through and select your favorite font and a size and color and then save that as a preset using numbers so that they stay near the top eg 01 Arial, 02 Batavia, 03 Lucida Handwriting. Auto align image layers in edit. 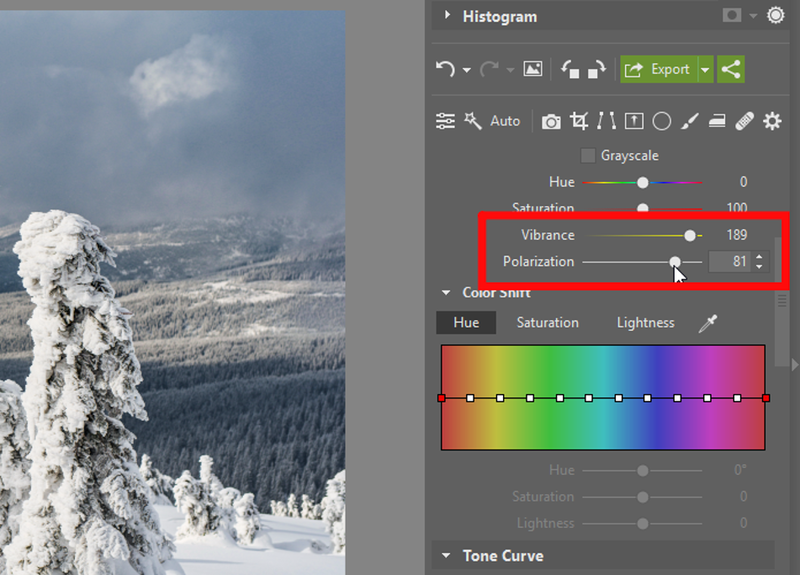 You already have auto align and auto crop check boxes in HDR. Can we please have auto align and auto crop on the edit side for those of us who wish to hand blend bracketed photos? I'm sure others will want the same thing for different reasons. IMHO no reason to wait until 2020 since the code/tech is already in the software. Thank you. LeviFiction wrote: I don't know of anything build into PSP that will automatically slice the image based on the guides. In fact I don't even think scripts will work because we can't find the guides using scripts (really annoying). . Gonna have to ruminate on this one. I would like to see richtext support in the text tool. Currently only plain text can be inserted. Changing the colour/style/size of parts of the text within PSP is hard work, it would be easier to do it somewhere else (i.e. Word) and just copy the formatted text.